At Tri-City Crating and Packing we are proud to have provided our valued Pacific Beach clients with superior crating and packing services and competitive rates since 1992. With over 20 years of experience and thousands of satisfied customers, Tri-City Crating and Packing is the premier choice for custom designed and fabricated pallets, skids, crates and boxes and fast, secure on-site packing. We specialize in safe, durable, and reliable packaging; our meticulous engineering process ensures that your valuable cargo will always be transported securely and efficiently. Whatever your size or volume requirements, we will custom design and fabricate a high-quality box, crate, pallet or skid to meet the exact specifications of your item. We deliver custom crating to Pacific Beach commercial, industrial and residential locations and carefully pack your cargo on-site. Our skilled specialists are experts in crating and packing all kinds of items, including artwork, antiques, electronics, large-scale machinery and much more. We will guide you through every step of the process, including arranging domestic and international shipping. Tri-City also offers late night and weekend on-site packing. We invite our Pacific Beach customers to call today. Our friendly, knowledgeable staff will are ready to offer professional, knowledgeable assistance with all your shipping, crating, and packing needs. We provide free estimates and consultations. 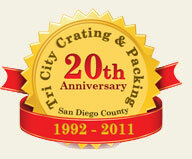 Since 1992, Tri-City Crating and Packing has provided our Pacific Beach clients with superior custom-made boxes. These high quality wooden boxes, professionally engineered and manufactured by our team of skilled experts, are perfect for safe and secure packaging of a wide variety of items. Whether you need boxes and packaging for antiques, artwork, equipment, or even your automobile, our staff of experienced specialists will guide you through the entire process and provide you with free estimates, knowledgeable recommendations and on-site measurements and assessments. For added protection we can install support bracing made from wood, metal or foam, further guarding your cargo from potential damage. We also offer vacuum packing and environmental barriers that will effectively shield your cargo against moisture and humidity damage. We will deliver your custom box at your convenience and pack your Pacific Beach cargo on-site. Shipping arrangements can be made on a case-by-case basis. Call today to learn more about custom wooden boxes for Pacific Beach. 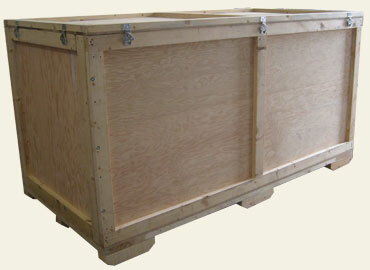 For over 20 years, Tri-City Crating and Packing has provided our Pacific Beach clients with high quality custom crates. Crates are a reliable, cost-effective alternative to boxes, perfect for domestic shipping and clients with budgets to consider. Many items can be packed as safely into a crate as a box, and our precise design and dedicated engineering ensures that your items will be kept safe and secure throughout the shipping process. 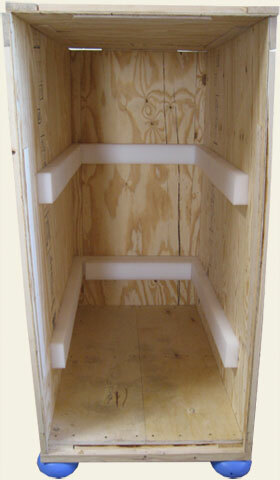 Our durable crates are manufactured to size and customized to satisfy the crating needs of each customer. Tri-City's skilled specialists will guide you through the custom crate design and fabrication process, making assessments at your convenience. 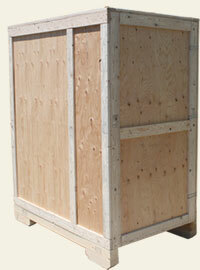 Our experienced professionals will then deliver your custom crate and pack your Pacific Beach cargo on-site. We also offer vacuum packing and environmental barriers for added protection against damaging moisture and humidity. Call us today to learn more about custom wooden crates for Pacific Beach. With over 20 years of experience and a long history of satisfied customers, Tri-City Crating and Packing is the premier choice for high quality custom pallets and skids serving Pacific Beach. 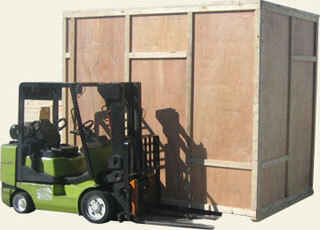 Many items can be safely palletized at a fraction of the cost of using a crate or box. We custom design quality, durable pallets/skids that securely hold your items, whether it's one object or a large volume. All of our pallets are highly engineered, and we build them with rapid turnaround. Our expert packing will keep your palletized items safe throughout the shipping process. We offer heavy duty skidding and shock absorbing skids, and can manually wrap your equipment in moisture resistant packing material to prevent costly moisture damage as well. We deliver your custom pallets and skids knocked-down or fully assembled based on your preference, and we pack your valuable Pacific Beach cargo on-site in a timely and efficient manner. 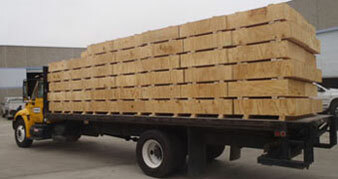 To learn more about custom pallets and skids for Pacific Beach, contact us today. At Tri-City Crating and Packing we provide our valued Pacific Beach clients with reliable, punctual crating and packing services for all types of large-scale machinery. We also arrange efficient, affordable shipping to domestic and overseas locations. With over 20 years of experience working with manufacturers, machinery movers, business movers and others, you can trust Tri-City Crating and Packing to safely and securely transport your large-scale machinery and industrial equipment. Our quality, custom boxes, crates, pallets and skids are engineered to the exact specifications of your equipment and feature strategically placed bracing for added sturdiness and security during transportation. Our skilled staff will deliver custom crating to any commercial or industrial location and will professionally pack all of your large machinery and heavy equipment on-site. We are dedicated to providing our valued Pacific Beach packing, crating and shipping customers with error-free work and timely service. Call today to learn more about large machinery shipping services for Pacific Beach. Since 1992 Tri-City Crating and Packing has served as Pacific Beach's premier business and assembly line equipment relocation service provider. We specialize in the efficient, safe, and secure packaging of all types and sizes of commercial and industrial equipment. Our extensive experience working with both small businesses and large companies ensures that your relocation experience will be timely and stress-free. All of our custom designed and fabricated boxes, crates, pallets, and skids are highly engineered to protect your cargo from potential damage. We also offer vacuum packing and environmental barriers to further protect your commercial and industrial equipment from moisture and humidity damage. Our staff of experienced professionals will assist you throughout the process and offer knowledgeable product recommendations as well as free on-site measurements and assessments. We invite our Pacific Beach crating, packing and shipping customers to call today and learn more about our business and our expert assembly line relocation services. Tri-City Crating and Packing is your one-stop solution for electronic equipment crating and packing serving Pacific Beach. With over 20 years of experience, we are experts at safely and securely packing all types of fragile electronic equipment, from computers and servers to high-end IT equipment. Our custom designed and manufactured products offer superior protection for your valuable electronic equipment. Regardless of volume or shipping destination, we employ every safety measure necessary to protect your electronic items, such as the use of shock absorbers and tilt indicators. Our skilled specialists have years of experience packing high-tech electronic equipment in residential, commercial and industrial settings. We always offer excellent crating recommendations and will guide you through the entire custom fabrication and packing process. Call today to learn more about computer and electronics shipping for Pacific Beach. With over 20 years of industry experience and a long history of customer satisfaction, Tri-City Crating and Packing is the premier choice for the secure and reliable packing of high value items serving Pacific Beach. Our extensive experience with museums, art galleries, collectors and many others ensures that your priceless valuables will always be safely and securely packed and transported. Tri-City's custom crates and boxes are specially designed to protect delicate cargo such as art, antiques, and family heirlooms for domestic and international shipping. Our skilled crating specialists are experts in handling and packing your precious items with the utmost care. We will assist you throughout the packing and shipping process and can accommodate unique specifications such as extremely fragile or temperature-sensitive items. 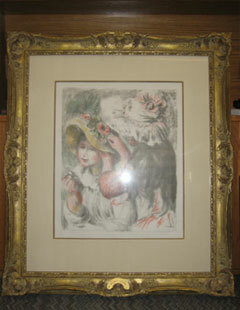 To learn more about art, antique, and high value item shipping for Pacific Beach, contact us today. 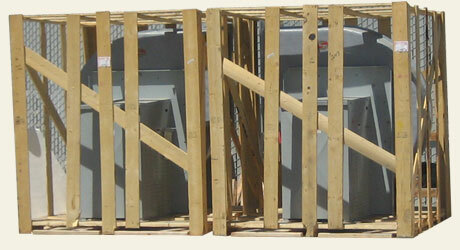 Tri-City Crating and Packing is Pacific Beach's premier choice for residential crating and packing services. For over 20 years we have provided our valued Pacific Beach residential packing and crating clients with high quality, custom designed boxes, crates, pallets and skids, as well as exceptional customer service. We understand the importance of securely packing your household belongings, so our meticulously designed and manufactured crating products feature support bracing made from wood, metal or foam for added sturdiness and reliability. Whether you are planning to move a piece of furniture, a valuable painting or a priceless family heirloom across town or overseas, our staff of skilled crating specialists are experts in safely and efficiently handling and packing all sizes and types of household cargo. Call today to learn more about household packing and crating services for Pacific Beach. At Tri-City Crating and Packing we provide our valued Pacific Beach clients with safe and reliable motorcycle and automobile crating and packing services. We custom design and fabricate boxes and crates to securely transport all makes and models of automobiles, motorcycles and their components for domestic and international shipping. We expertly manufacture each box, crate, pallet and skid to meet the exact specifications of your cargo. Our skilled experts will deliver your custom crate or box to your business or residence and pack your motorcycle(s), automobile(s) and/or parts on-site at your convenience. 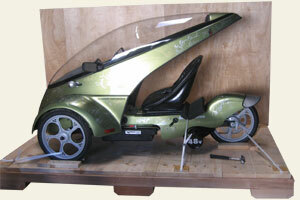 For a free consultation about motorcycle and auto crating, packing and shipping for Pacific Beach, call us today. Tri-City Crating and Packing is leading provider of high quality, custom-designed trade show boxes serving Pacific Beach. 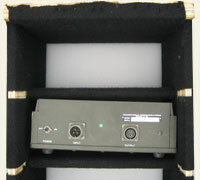 Our trade show boxes are secure, convenient, and durable enough to withstand the wear and tear of repeated use. We always ensure your goods are completely safe and secure in our trade show boxes, employing safety measures such as tie-downs and shock-absorbing foam in order to protect your items and keep them in top condition between shows. All of our trade show boxes are digitally designed with a sophisticated program and can be specially customized for display or with additional hardware and features, including casters, hinged doors, and more. Our highly skilled professionals will guide you through the entire design and fabrication process, offering you expert recommendations along the way. For more information on trade show boxes for Pacific Beach, call us today. Since 1992, Tri-City Crating and Packing has served as Pacific Beach's premier government and military packing and crating specification experts. We employ comprehensive safety measures to completely secure and protect cargo in accordance with government and military regulations. Our high-quality boxes and crates are designed using a sophisticated computer program that is based on military specifications. We are experts in the secure and efficient handling of aerospace- and military-related items of all kinds. Contact us today to learn more about military and government shipping services for Pacific Beach. For over 20 years Tri-City Crating and Packing has worked extensively with hospitals, doctors, manufacturers and medical research corporations to pack, crate and ship all kinds of laboratory and medical equipment to domestic and international destinations. As Pacific Beach's one-stop solution for medical crating and packing, we custom design and construct crates for your equipment's requirements, package your item securely, and coordinate safe and secure shipping. Our high quality crates, boxes, pallets and skids are custom designed and fabricated to completely protect your medical and laboratory equipment during transport. Our crating specialists will work with you to determine the best way to crate and pack your equipment. Call us today to learn more about medical and laboratory equipment crating and packing for Pacific Beach.